How often do you hear yourself or someone else say, “I’m just so stressed out?” Too many times to count, right? There’s a Wayne Dyer quote that says, “The truth is that there is no actual stress or anxiety in the world; it’s your thoughts that create these false beliefs. You can’t package stress, touch it, or see it. There are only people engaged in stressful thinking.” While Dr. Dyer’s words may be true, when you are in the middle of a meltdown, I don’t think those words would be very helpful, do you? While a platitude sounds good, it won’t help in the heat of the moment. How do we get ahead of stress, inoculate ourselves, so to speak? Exercise to the rescue! Exercise increases the body’s production of endorphins. Endorphins activate the body’s opiate receptors and have an analgesic, or pain relieving, effect. Instead of using food or alcohol which can lead to poor health and addiction to escape stressful situations, try using regular exercise instead. 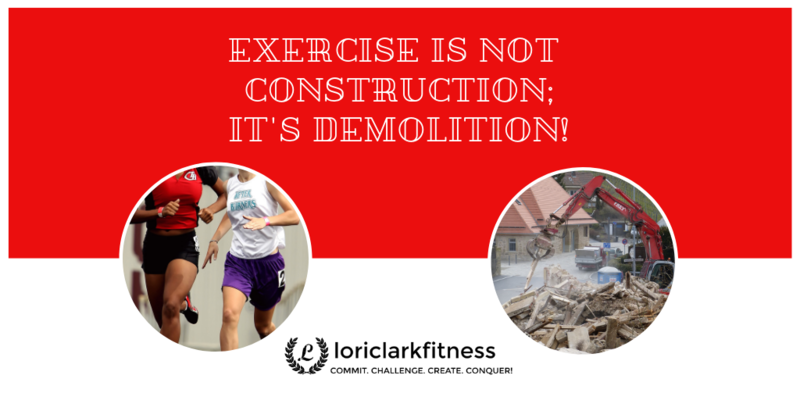 When we exercise, we tear the body down, and it must build itself back. Consistent physical stress, or overload, is how we build muscular and cardiovascular fitness. This process makes both our bodies and our minds more resilient. 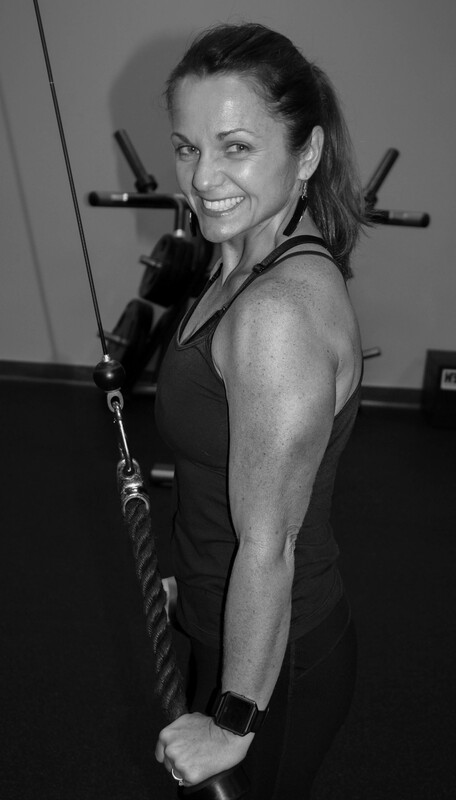 I often tell clients that as the body is rebuilding itself to be even stronger, it’s saying, “She’s not going to do that to me again, I’ll be ready next time. I’ll be stronger.” That’s why as we become more fit, we must do more to see further results. Our body becomes stronger, and more is required to challenge it sufficiently. As it turns out, as the body is getting stronger and more resilient, so is the brain. The more we engage in regular exercise, the better we are able to adapt to the changes and overcome the challenges in our lives. We’re able to think about them differently and reframe them in such a way that we are better able to deal with them. Aerobic activity helps to calm us and help us respond to changes that we otherwise would term as stress before our heart rate runs wild and our stress hormones skyrocket. 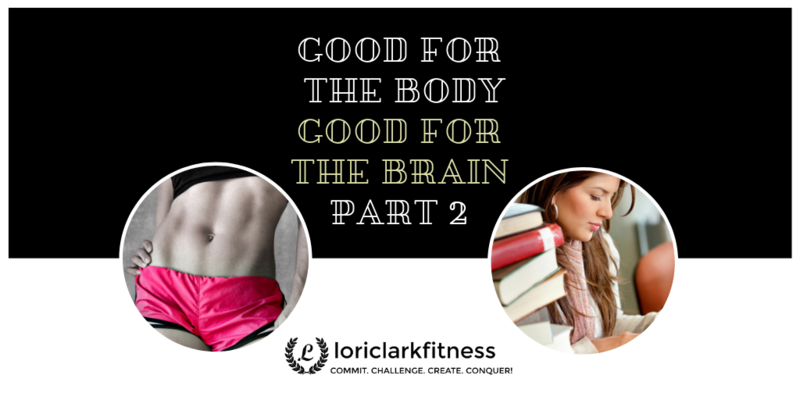 Instead of having our stress hormones skyrocket, when we exercise regularly, the brain releases several different types of repair molecules and growth factors such as BDNF (Miracle-Gro for the brain), IGF-1, FGF-2, and VEGF like we talked about last week. I don’t want to get too crazy with the initials here because most of us aren’t going to remember them anyway, but suffice it to say that these growth factors stimulate the growth of new nerve cells and protect the brain against stress. What’s even more incredible is that these are not only produced in the brain; they are also produced by muscle contractions, and they travel through the bloodstream to support the brain. How’s that for the body affecting the mind? 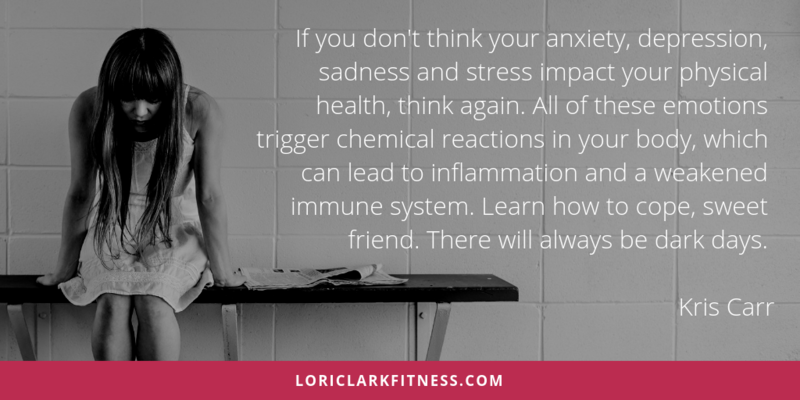 Instead of having the health of our bodies be at the mercy of a stressed out mind, how about taking control today and letting the activity of our bodies begin to work miracles in the way we feel both physically and emotionally? Our bodies were made to move. Don’t feel like moving? As crazy as it sounds, you must move before you’ll feel like moving. Ralph Waldo Emerson put it perfectly when he said, “Do the thing, and you will have the power.” In other words, the feeling won’t come until you take the action. Just for today, will you move more than you did yesterday? Don’t worry about tomorrow. It will take care of itself. Choose to move more and feel better TODAY!